What would you do if you were dead? “Pretend that you killed yourself and you can live again incognito. Imagine what you would do without any attachment to the outcome. Now do those things and see the amazing things you accomplish”. Jon Kabat-Zinn (front left) dropped this during our lunch in Davos today. Matthieu Ricard (right next to me) also invited us to think about the constant fear of missing out we live in nowadays. “Imagine how many things you will not do after your death. Not doing everything you want to do does not matter. Ignore them. It’s how you do what you do”. Those two thoughts highly resonated with me today. Stop thinking about what I’m missing and focus on doing what I am doing without any fear of result or consequences. 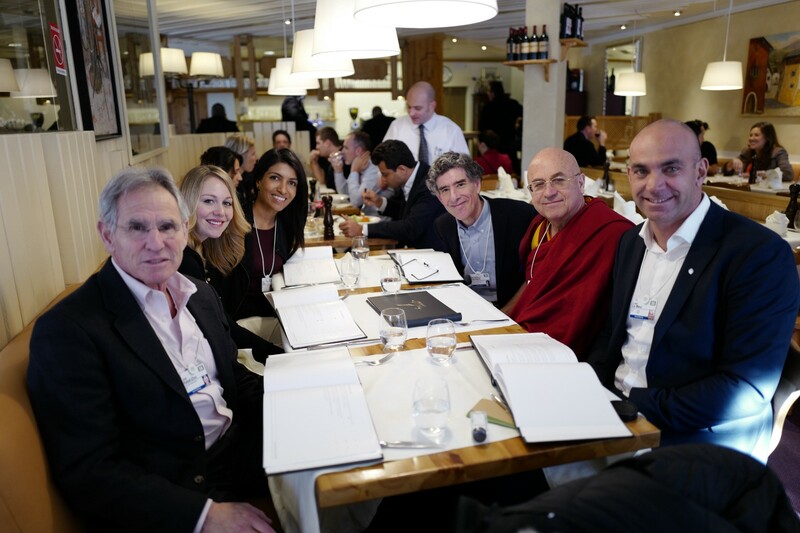 Amazing Davos lunch with Jon Kabat-Zinn, Matthieu Ricard, Richard Davidson, Leila Janah and Alyson Shontell.